Like its Italian name suggests, Tropitone® Banchetto Tables encourage banquets... whether feasting or simple entertaining. This Banchetto Square 36" Dining Table is constructed of aluminum and features a slat-top design. 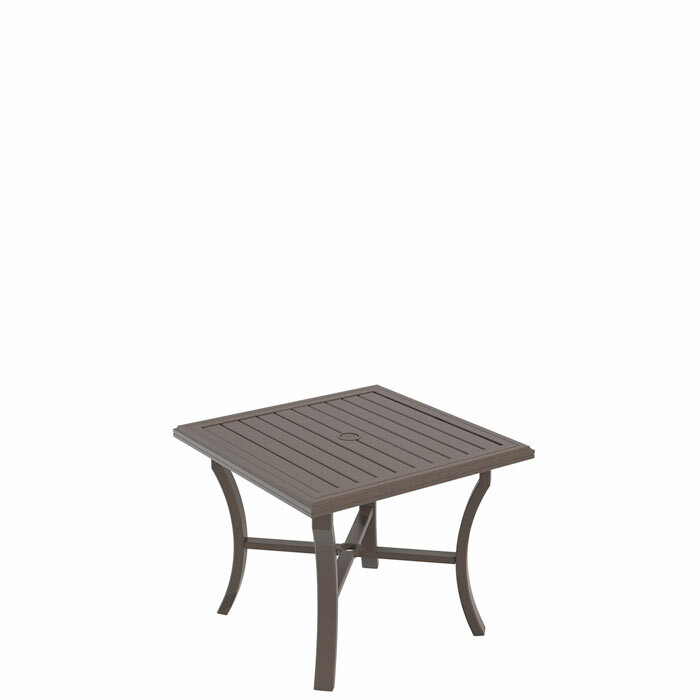 The outdoor dining table is not only exceptionally attractive, but is built for durability and ease-of-maintenance. The classic shape allows seamless integration with any style of seating. This Banchetto Square 36" Dining Table can pair with a Basta Sole® Umbrella for a delicious culinary experience in any weather.